The Track Dog Racing Air-to-Air Intercooler System is engineered to be the one of most efficient intercooler on the market and only uses components of the highest quality. 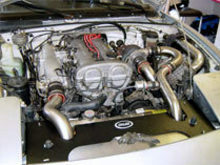 This intercooler has been designed and tested specifically for the Mazda Miata using the Greddy Turbo. Our intercooler systems are perfect for both low-boost and high-boost applications such as track events and heavy-duty street use. 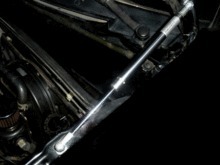 The TDR I/C requires removal of the stock hood prop. We recommend you add our optional dual hood lift kit at the time of purchase.